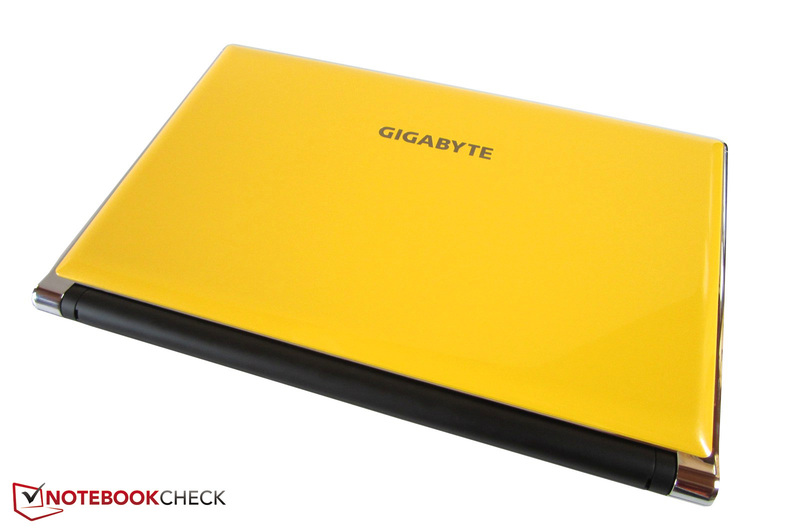 Yellow Yellow… The Taiwanese manufacturer, Gigabyte wants to make a mark in the PC world even though it is well established in the hardware components sector. 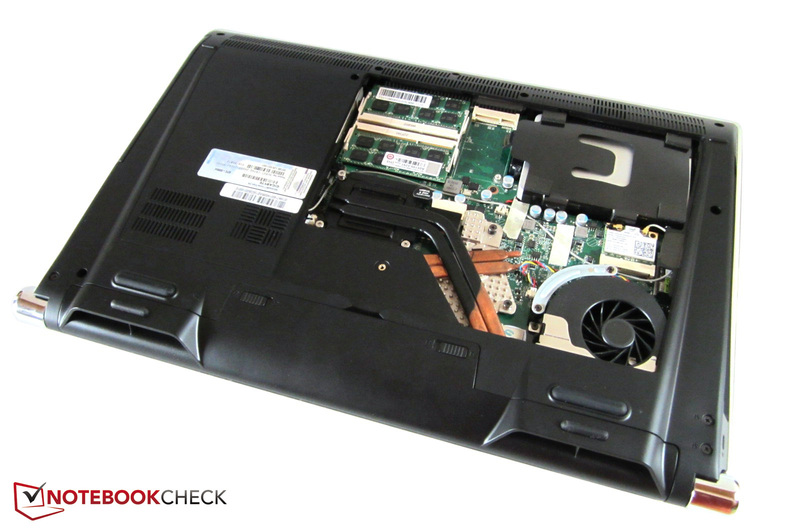 The new P2542G features a Full-HD panel, Blu-ray burner and a GeForce GTX 660M that is not something to be sneezed at. Both gaming fans and multimedia enthusiasts have something to look forward to. So is the 15-inch test model worth your money? For many years, the laptop giants, Asus, Dell, Sony, MSI, Acer, HP and Samsung, have been fighting for dominance of the multimedia arena. The buyers of this group look for good price-to-performance ratio, and as such, manufacturers usually skimp out on the quality and/or hardware of the laptop by installing a low-quality display, a slow HDD or using a cheap case. 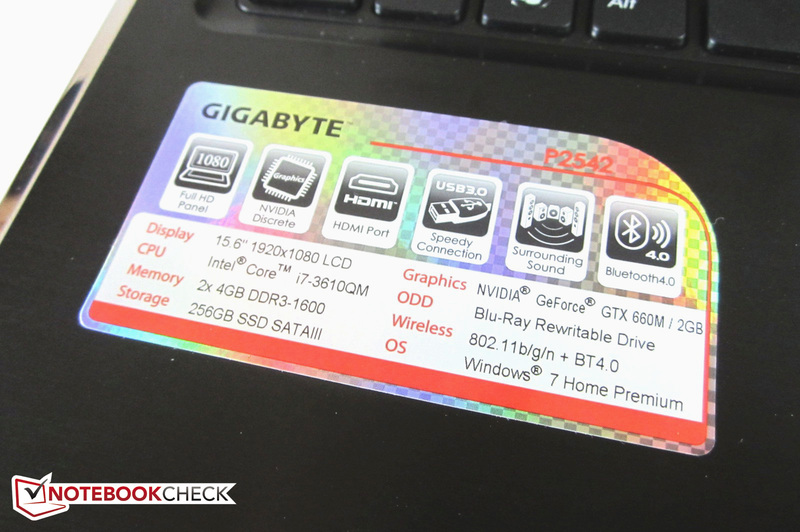 Gigabyte has taken a different direction with the P2542G. This 1500 Euro (~$1900) entertainment machine offers a premium package - at least partially. This 15-inch model not only has a high-resolution non-glare panel but also comes with a Blu-ray drive. The manufacturer has cut no corners with storage media of the laptop: Windows 7 Home Premium 64 Bit runs on a lightning-fast 256 GB Solid State Drive. The CPU is a quad-core Ivy Bridge model (Intel Core i7-3610QM) and the integrated high-performance GPU belongs to the new Kepler generation. 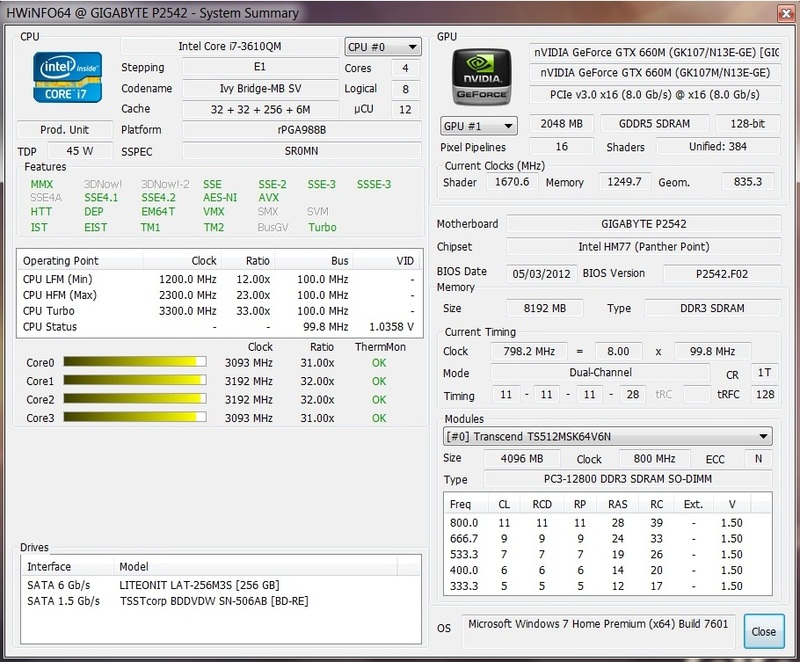 Nvidia's GeForce GTX 660M offers a great balance between performance and power consumption. 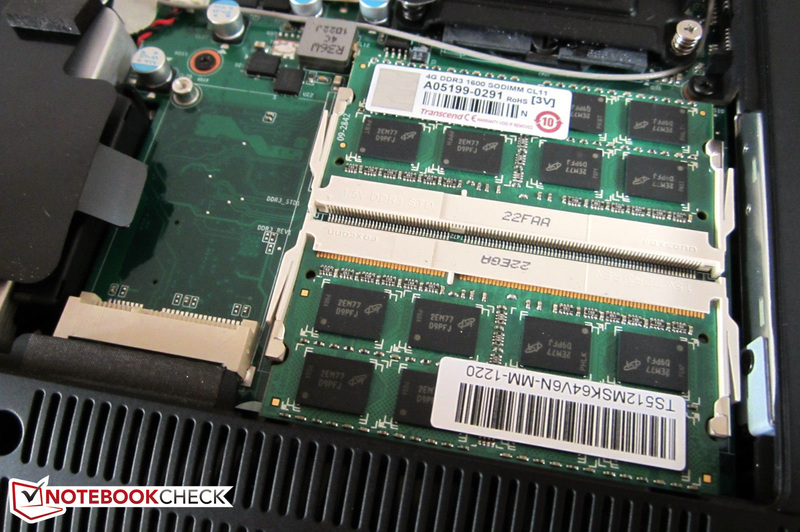 The package is rounded off by 8 GB of DDR3-RAM (2x 4096 MB @ 1600 MHz). According to the manufacturer, this hardware assortment is installed in the English model. 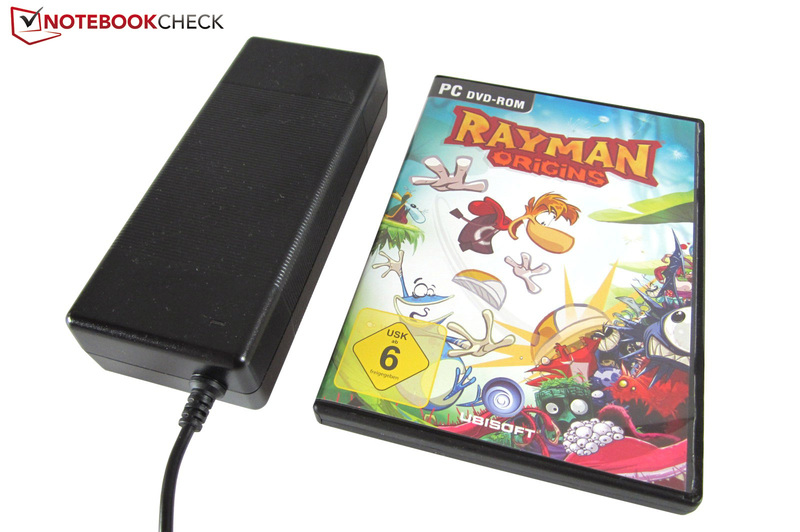 The German version is supposed to be equipped with a 128 GB mSATA SSD and a 750 GB HDD. 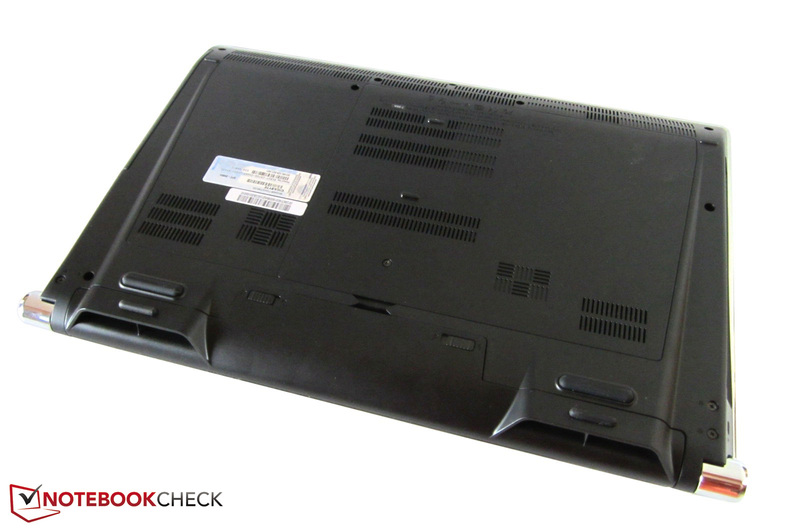 The 15-inch case is very similar to the P2532N which we tested last year. Buyers who pick the yellow version of this model will face an extremely cheerful lid to whom the color appeals to. The glossy cover is made of synthetic material and sticks out of the crowd. Thanks to the bright coloring, fingerprints and smudges will not be visible. 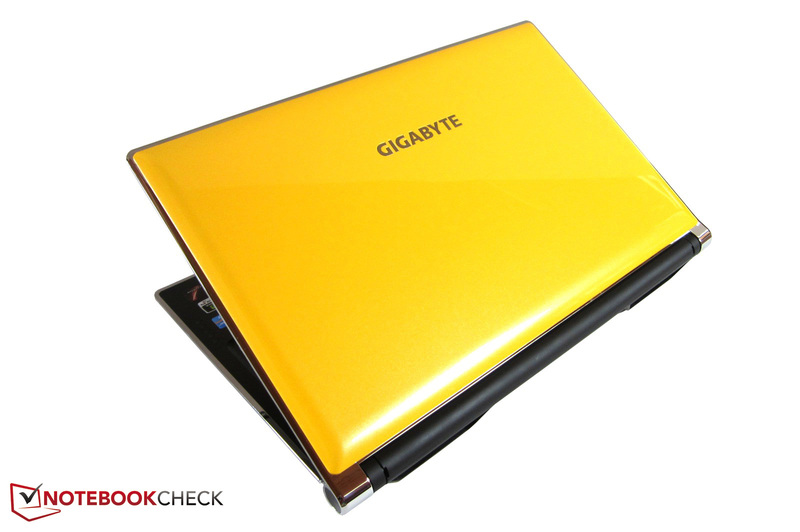 The "inside" of the laptop maintains a darker tone, regardless of which model is ordered (yellow or black). 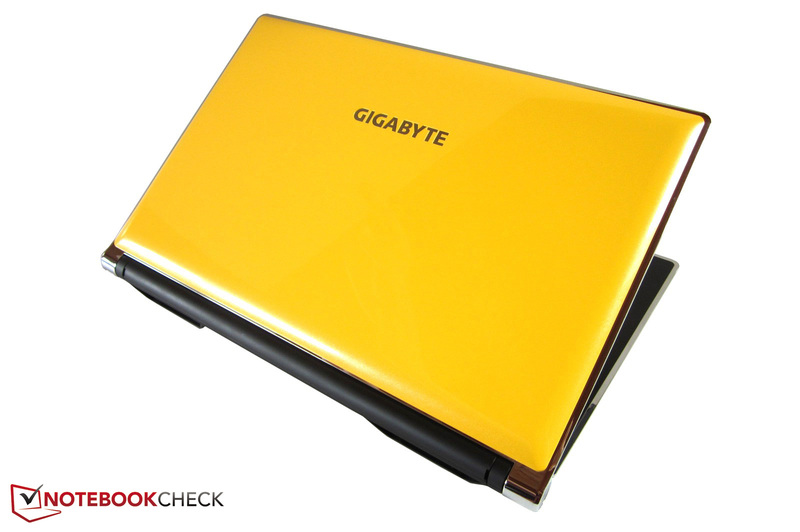 Gigabyte uses brushed aluminum for the hand-rest regions and the chiclet keyboard is embedded with a matt plastic layer. The silver trimming looks like chrome bling on the laptop. However, not all buyers will be pleased with this. On the one hand, these borders make the model look luxurious and unique, but, on the other hand, the reflections and high sensitivity to smudges and fingerprints can be annoying in everyday use. The matt display border ameliorates the situation a little. The laptop is quite sturdy. Even under intense force, only the middle of the speaker bar and the region around the cursor keys give way. There is little to complain about the workmanship as small flaws are only visible with a magnifying glass. Overall, the chassis makes a good impression. Most competitors perform much more poorly in this area. Sadly, the P2542G could not get the highest score in this section as there are some flaws. 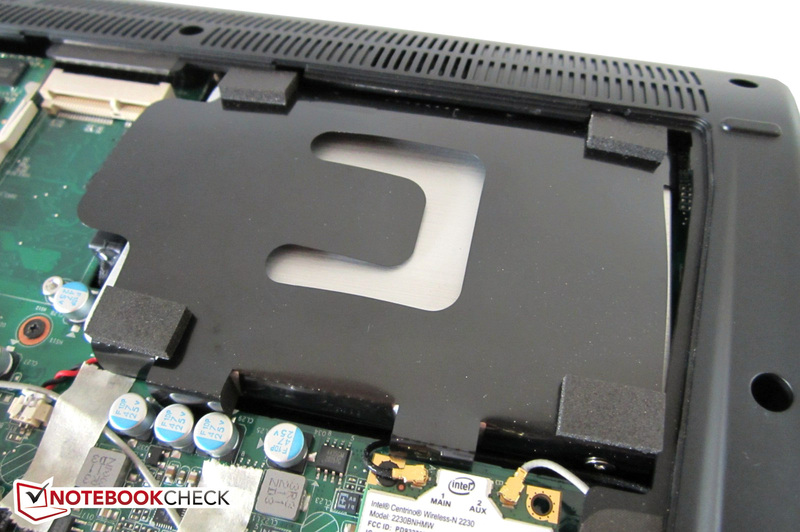 For example, the service flap at the bottom of the laptop is not secured properly. Gigabyte should have used two screws for this flap. 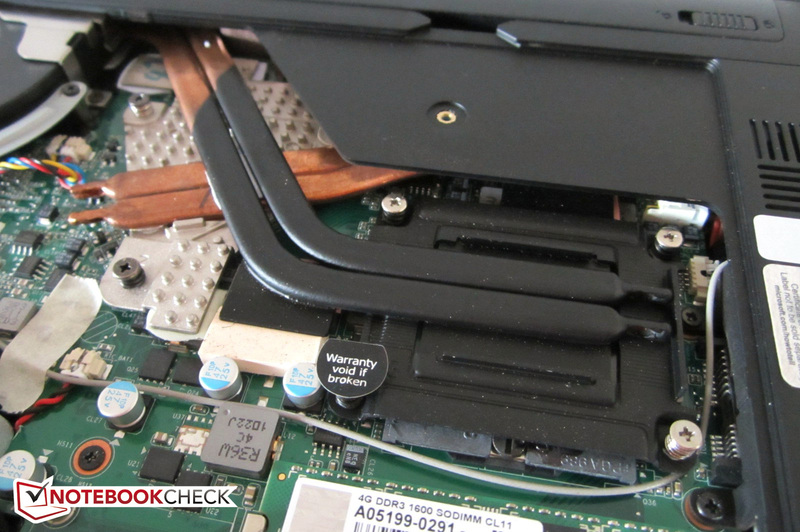 The battery also needs to be secured properly. 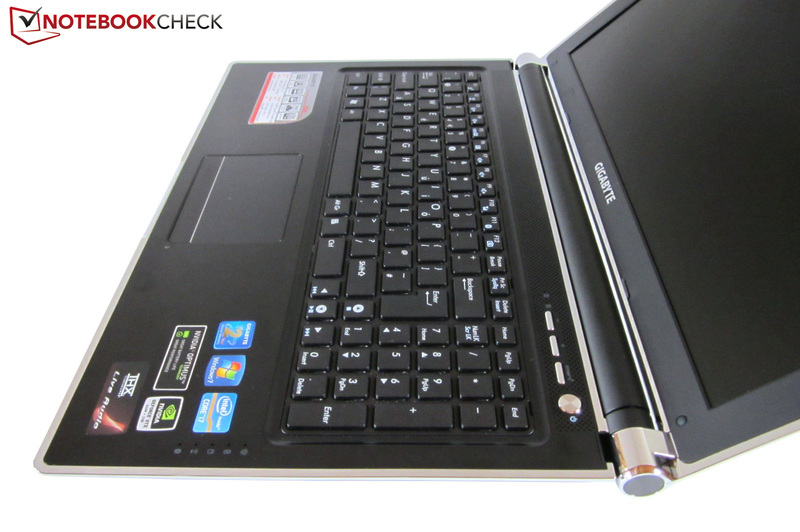 Due to the stiff hinges, the user will require both hands to open the laptop (the base swings along). If you are interested in transporting the laptop often then the weight is acceptable (~2.7 kilograms/5.95 lb.) and measurements are good (392 mm x263 mm x38 mm). These numbers ensure that the laptop is decently mobile. The connectivity options provided is average. Neither an ExpressCard slot nor a FireWire port is available. The front and back have no interfaces. The left side houses the power connecter, a VGA port and an eSata/USB 2.0 combo interface. 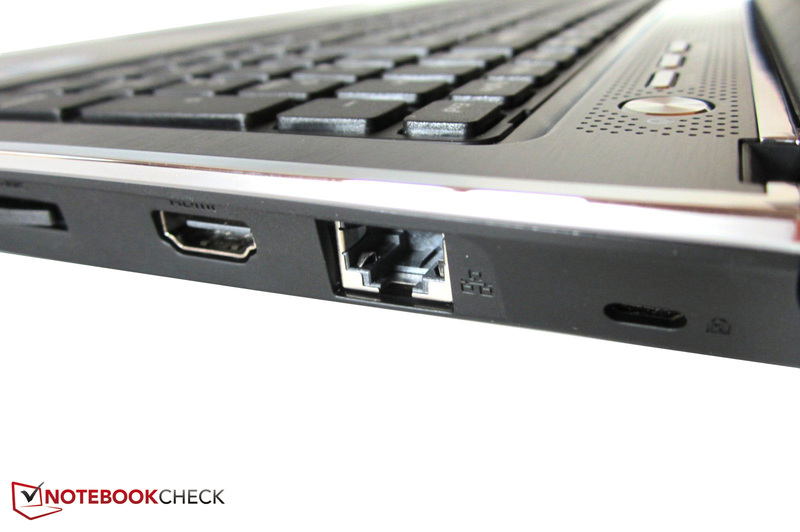 The right side offers a Kensington Lock, a RJ-45 Gigabit LAN port and an HDMI interface towards the back. The two USB 3.0 ports and audio jacks (headphone + microphone) are placed too far in the front for our liking. This can result in uncomfortable situations when using an external mouse. A card reader (SD, MMC, MS, MS Pro) is placed in the middle on the right side. As in the older model, the ports are recessed quite far which is not optimal. If the user is not familiar with the placement, s/he will have to look around to find the right interface. The wireless module is from Intel (Centrino Wireless-N 2230) and supports WLAN b/g/n and Bluetooth 4.0. 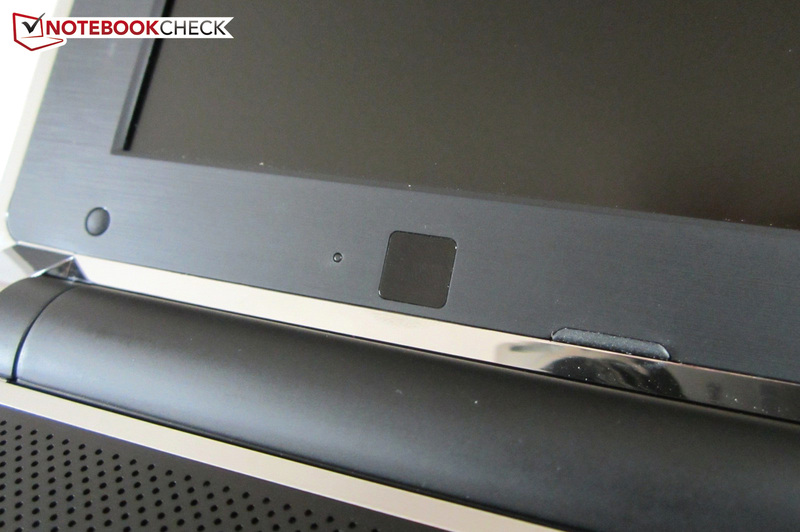 The Wireless Display allows transferring of data to a TV or an external monitor. The manufacturer has mentioned a maximum transfer rate of 300 MB/s. We are torn when it comes to the maintenance of the laptop. The WLAN module, hard disk and both RAM slots are accessible which is good but the GPU fan, unlike the CPU fan, is not directly accessible. 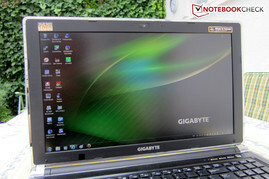 Gigabyte probably did not see the need as the GeForce GTX 660M is soldered into the laptop. 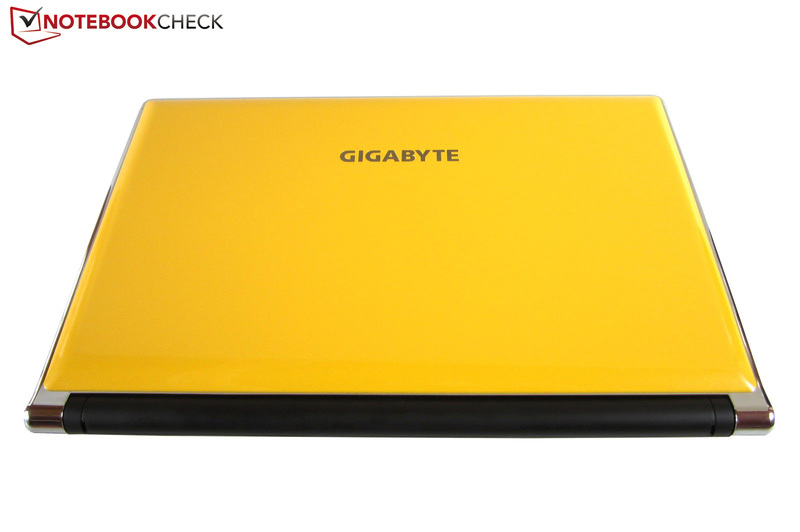 We give Gigabyte some extra points for the mSATA slot. Gigabyte is one of the few manufacturers who do not "drown" the laptop in unnecessary software. 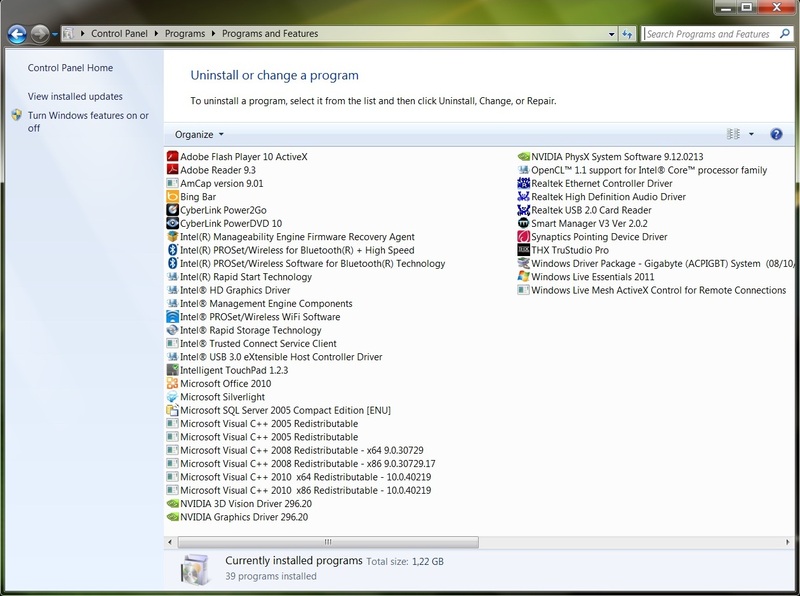 Although, the Windows uninstall window shows about 40 entries (right snapshot), most of these are driver or hardware-related programs. 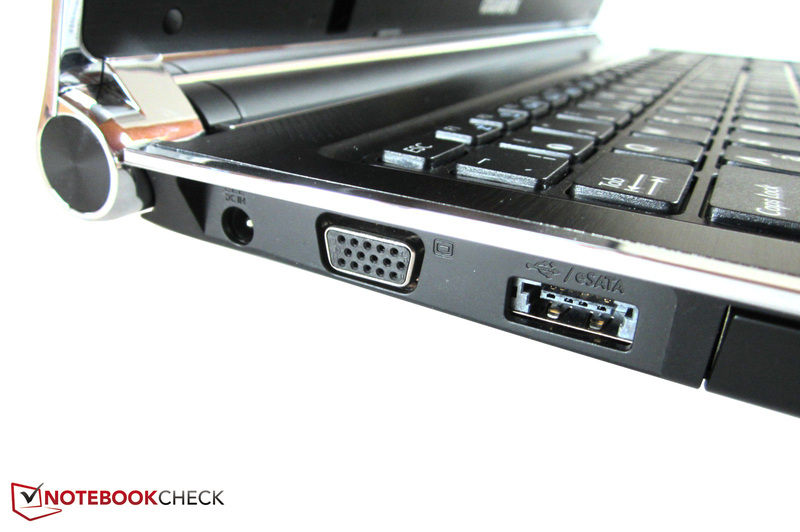 It is not surprising that the P2542G is equipped with the Starter edition of Office 2010 and Live Essentials 2011. The package is not bad. 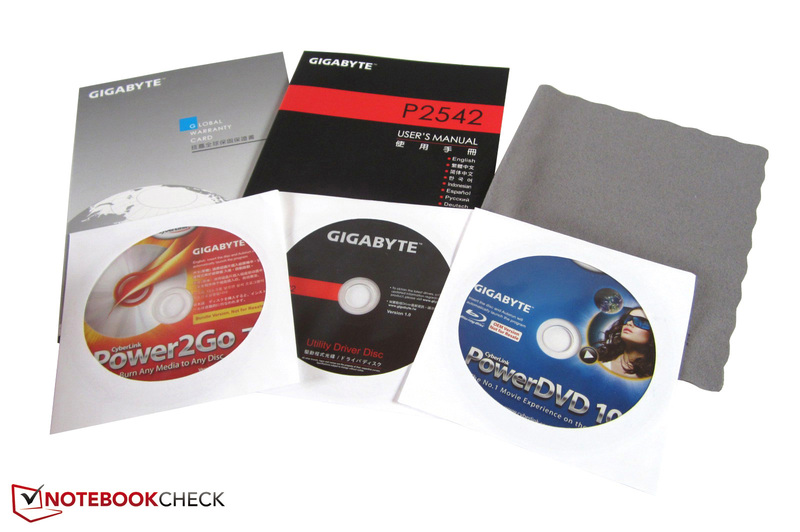 It includes a cleaning cloth, a warranty card, a utility DVD and a multi-lingual manual. Two DVDs (CyberLink Power2Go and PowerDVD 10 which is Blu-ray ready) are included. 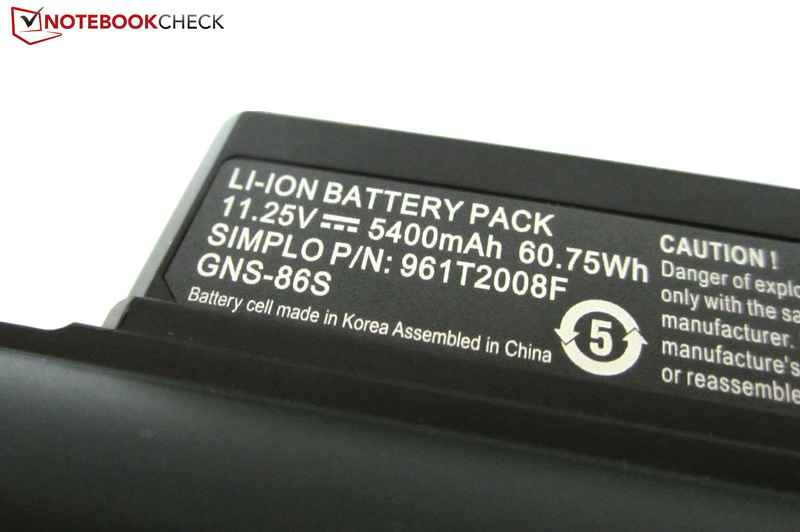 The packet is rounded off by a 6-cell battery and a 150 W power adapter. According to the notebook sticker, the warranty lasts 24 months. Parts (like battery) are only covered for the first year. The input devices are well-designed. 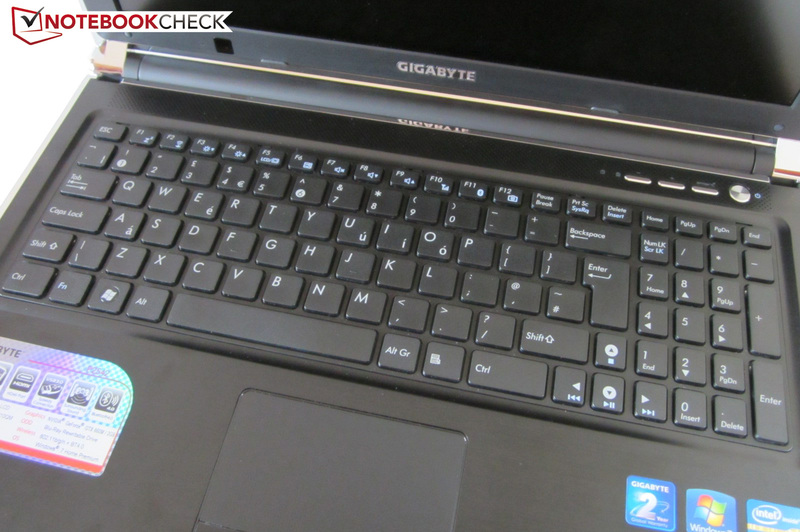 As previously mentioned, the P2542G has a chiclet keyboard (a model with spaced keys). The small row of function keys cover a wide variety of areas, and can be activated using the Fn key. The main block of the keyboard is composed of keys which are 15 mm wide, whereas the numeric pad has four rows and each key is 12 mm wide. The typing noise, typing feel and stroke is okay, but the impact could have been stronger. The layout of the English model keyboard conforms to standards (the right cursor key pushes into the numeric pad though). There are two keys available that toggle the volume which is very convenient during media consumption. The manufacturer also deserves praise for the ‘Smart key’. In Windows, this key launches the Smart Manager which offers many different settings and options (like "USB Charge"). While the notebook is switched off, the Smart key launches a special boot menu which presents the user with access to the BIOS and System Recovery. If the keyboard had the backlight option, it would have gotten an even higher score. 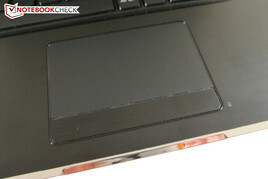 The 92 mm x 53 mm touchpad is from Synaptics and comes as the LuxPad V7.4. The textured surface may not be to the liking of every user. The touchpad offers great feedback and precision, but the modest slide properties and the uncomfortable feel are annoying. The supported gestures (zooming, scrolling and turning) work well and multi-finger input is usually recognized without trouble. 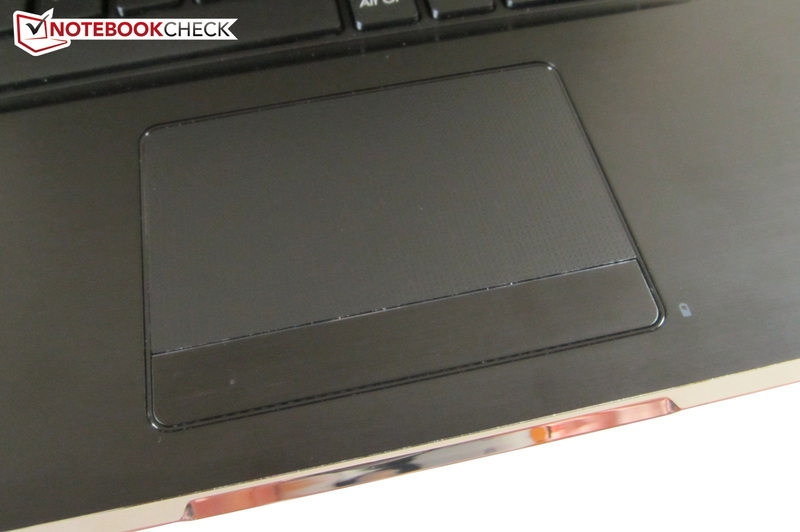 Users who like to have the standard scroll bar on the side of the touchpad will have to activate it in the software. 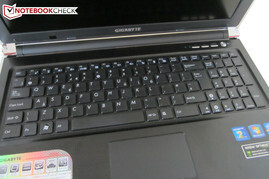 The touchpad is placed exceptionally far to the right, which will make some users quite happy. Thus, deactivating the touchpad in games is not a must. The device can be improved further as the mouse bar requires a lot of force in certain spots. 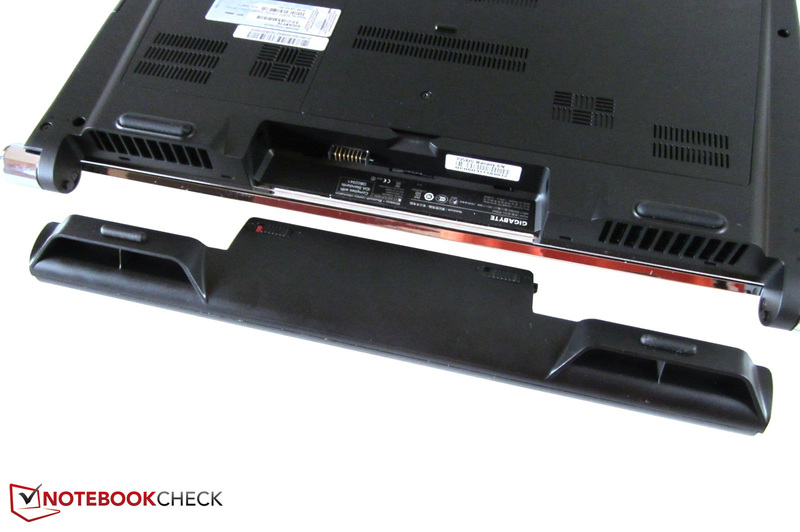 Gigabyte installs a high-quality Full-HD panel so that the user can make the most of the Blu-ray burner. A resolution of 1920x1080 pixels allows the laptop to depict games and films in great clarity and also present the user with a comfortable work space. Users who like to have two windows open at once (like the notepad and the browser) will definitely be happy with the high resolution. The display has a 16:9 aspect ratio which is no longer a surprise in the year 2012. The LED backlight is also not a surprise. Although, the panels are almost identical on paper (LG Philips LP156WF1), the screen of the P2542G is quite different from its predecessor. 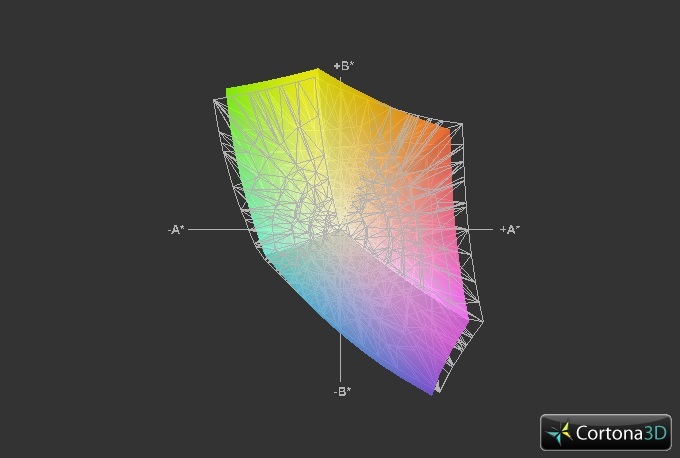 The biggest difference is the brightness which has risen from a decent 240 cd/m² to an amazing 355 cd/m². Regardless of what the room lighting is like, the 15-inch laptop is always comfortable to use. Due to the modest black value (maximum 0.74 cd/m²), the user can even drop the brightness a little. The older P2532N had a better black value of 0.46 cd/m². The contrast is similar, 522:1 for the new and 565:1 –for the old, both being above-average. Despite the matte surface, the colors are exceptionally strong. Whether it is movies, games or pictures, thanks to the satisfying colors, the TN panel is a delight to use. The good sRGB coverage results in a good score in this section. Outdoors, the P2542G is well-equipped. The brightness and anti-glare display guarantee workability outside in the bright sunshine. Even under direct sunlight, the eyes are not too strained. Please note that in the battery mode, the brightness drops slightly (screen brightness in the middle is 341 instead of 386 cd/m²). The viewing angles leave little room for complaint. As expected of a good TN panel, deviations in the horizontal viewing angle are within tolerance limits. So a movie night with a group of friends will not be a problem. The vertical viewing angles are not as great. The user will be faced by drops in the brightness when the display is adjusted forward or backwards and this is a typical TN panel flaw. Overall, the display quality is exceptionally high. 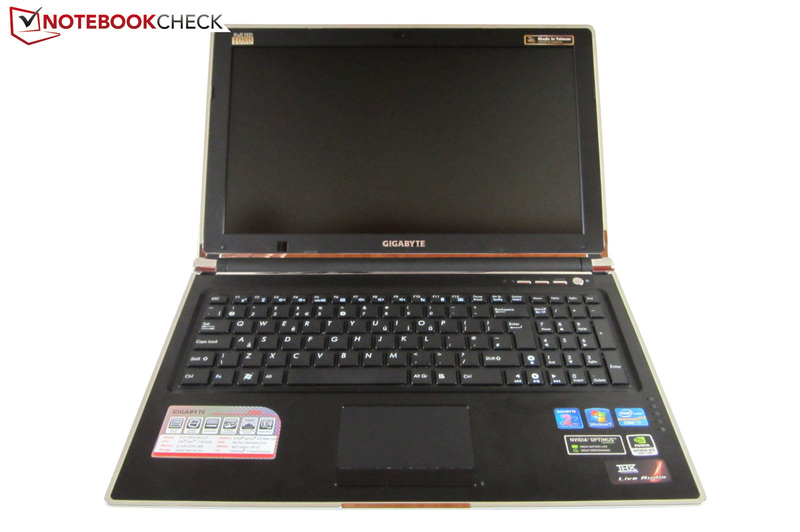 The Core i7-3610QM is a popular high performance model and serves as the processor of our test model. The 2.3/3.3 GHz quad-core CPU is based on the Intel Ivy Bridge generation (successor to Sandy Bridge) is manufactured using the 22nm process. The so-called Hyper-Threading technology is one of the most important features in the CPU. 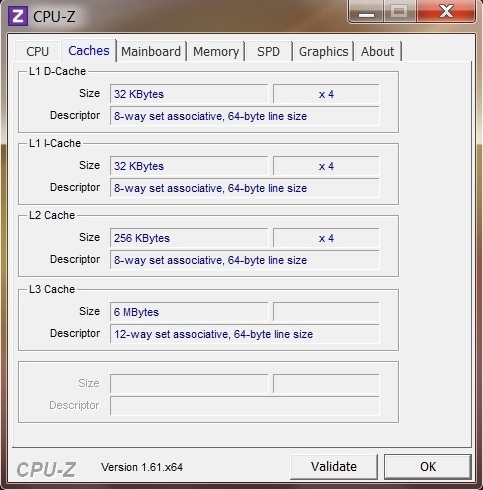 The CPU simulates four virtual cores and can thus process up to 8 threads simultaneously. On the other hand, Turbo Boost represents the dynamic overclocking. Thanks to 1.4 billion transistors and 6 MB L3 cache, the Core i7-3610QM has incredible performance. The CPU has a 45 W TPD which is reasonable considering the offered performance. 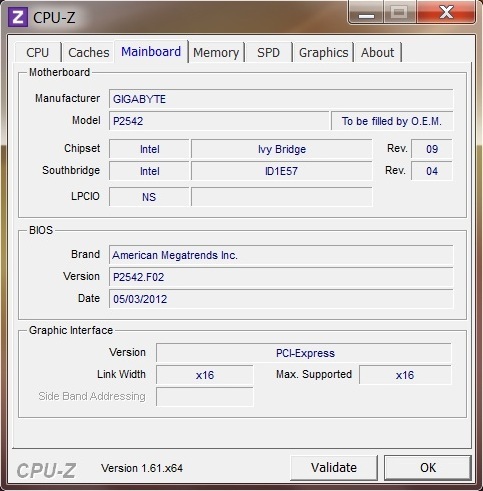 Ivy Bridge also supports PCI-Express 3.0 and fast DDR3-1600 RAM. The integrated graphics processor of our CPU is the HD Graphics 4000. Gigabyte has used the Nvidia Optimus technology in combination with this IGP to make dynamic graphics switching possible. Depending on the load, the notebook can automatically switch between two graphics chips i.e. the IGP and the GTX 660M. While the notebook is working on less-demanding programs or is idle, the IGP is in charge. As soon as more performance is required, the GeForce graphics card kicks in. 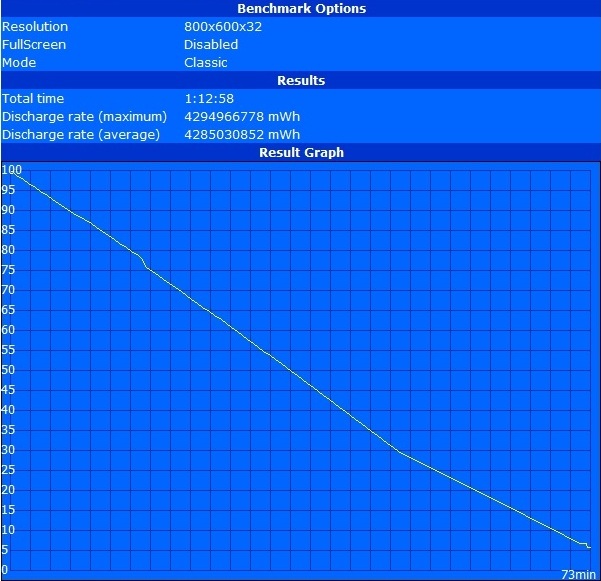 Of course, while the GeForce GPU is off, the P2542G is far more conservative in its power draw. Optimus has matured well and scores high thanks to its update function and individual profiles. The .exe-files can be started with the desired GPU by right-clicking on them which is a nice feature to have. Most games are correctly recognized even without manual input. 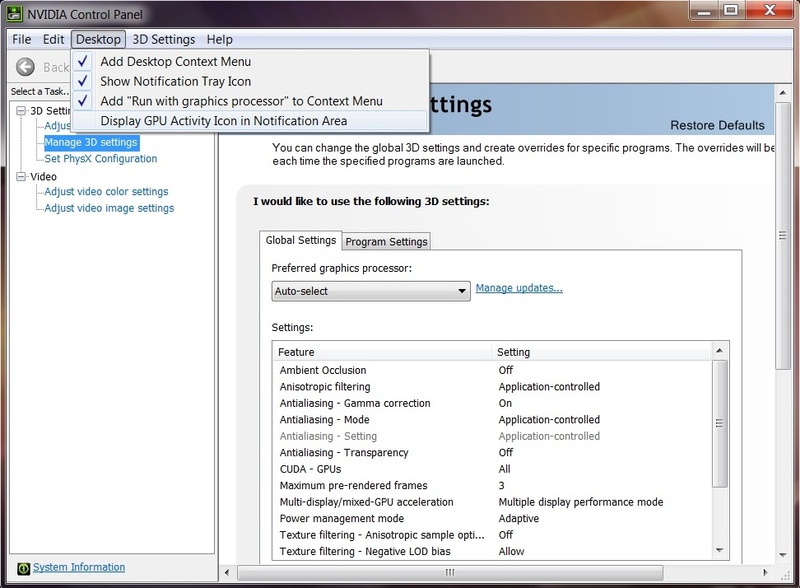 A tip for the users is to be able to look at the GPU activity in the task bar by activating it in the Nvidia control panel. 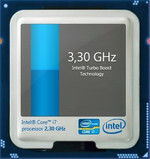 Intel has created a powerful quad-core processor in the Core i7-3610QM. This is clear from the CPU-base benchmarks. 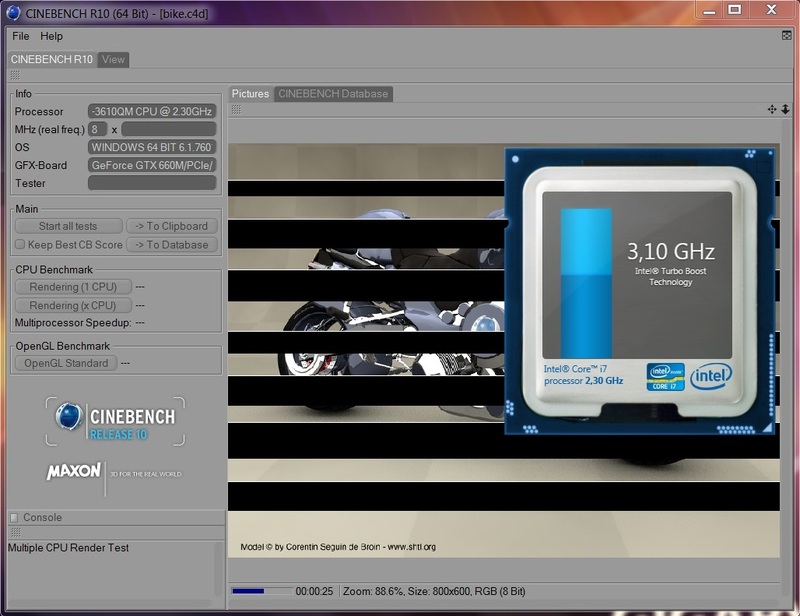 6.18 points in Cinebench R11.5 are almost double the score of the dual-core Core i5-3520M (2.9/3.6 GHz - 3.36 points in the Lenovo ThinkPad T530 2429-5XG). 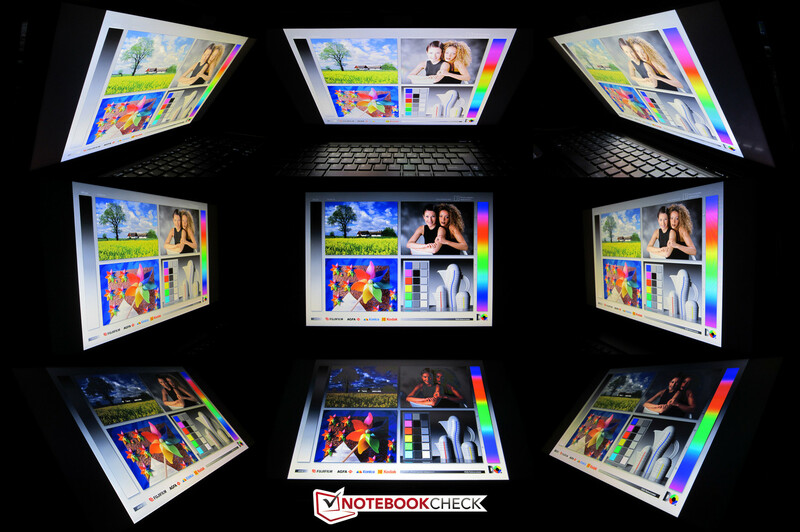 Other multimedia notebooks which use a Core i7-3610QM deliver similar results. 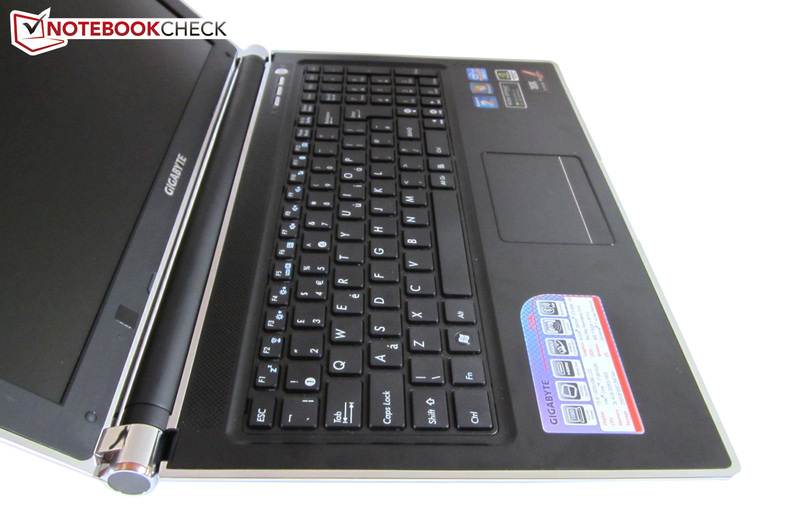 For example, the Asus N56VZ-S4044V, the Samsung 550P7C-S02DE and the Acer Aspire V3-771G score around 6.2 points. The GeForce GTX 660M marks the gateway to the world of high-end graphics cards, and like the GeForce GTX 680M, the graphics card is DirectX-11 ready and belongs to the Nvidia Kepler generation (28 nm architecture). 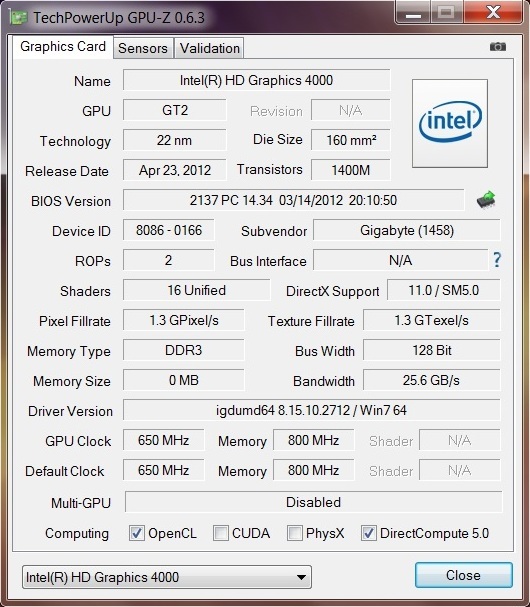 The GK107 chip (codename N13E-GE) has 384 shaders which is the same as the GeForce GT 650M. 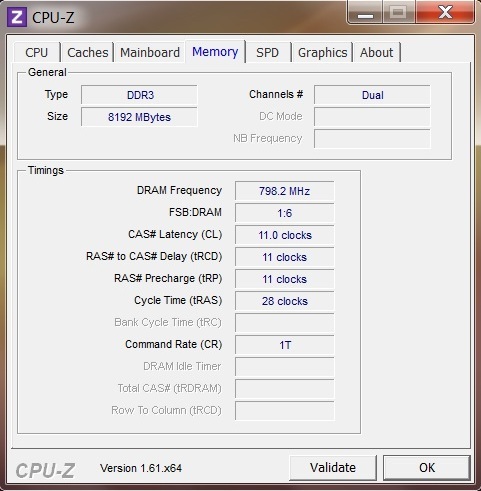 Thanks to the higher clock speeds (core @ 835 MHz, memory @ 1250 MHz), the GTX 660M takes a big lead. 2048 MB GDDR5-VRAM may seem a lot at first glance, but the memory bandwidth is a mere 128 bit. 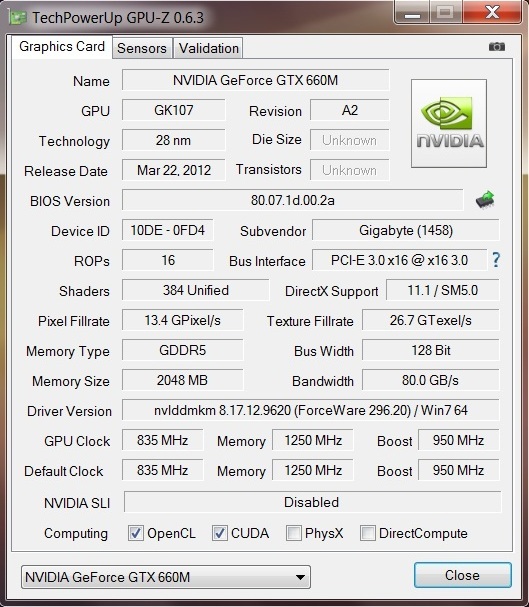 The GTX 670M and GTX 675M (based on the older Nvidia Fermi architecture) use a 192 and 256 bit interface respectively. The features of the graphics card are great. 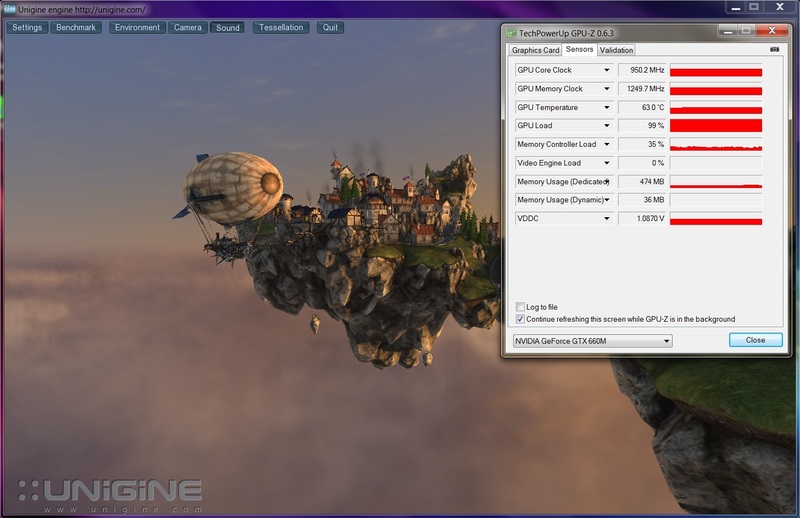 In addition to the video decoder and audio controller (graphic and audio output via HDMI), the GPU offers PhysX which can produce additional physical effects in certain games. Our benchmarks give the GTX 660M a good rating. The P2542G pulls slightly ahead of the similarly equipped Asus G55VW-S1073V in Unigine Heaven 2.1: 33.4 fps vs 32.4 fps @ 1280x1024 pixels. 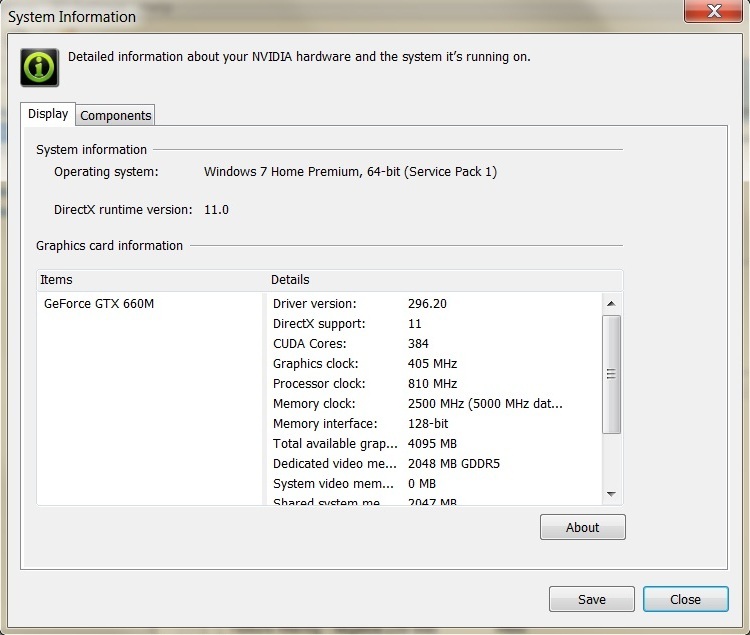 However, the graphics card has no chance versus the powerful GTX 680M with 1344 processing cores. This top graphics card runs the benchmark at 74.2 fps (Schenker XMG P702 PRO) and dominates the GTX 660M. In 3DMark 11 (1280x720 pixels), the P2542G a score of 2414 points cannot be beaten by the GT 650M (2130 points for the Alienware M14x R2). 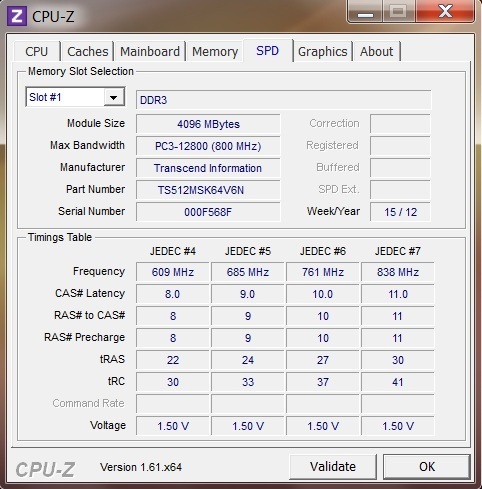 The expensive GTX 670M processes about 10% faster (2,688 points for the Medion Erazer X6821 MD98054). Of course, we tested the Turbo mode of the graphics card and processor. We start with the GTX 660M. At load, the graphics card boosts its clock speed from the standard 835 MHz to the maximum of 950 MHz (+14%). The old GeForce 500 series did not offer such a feature. 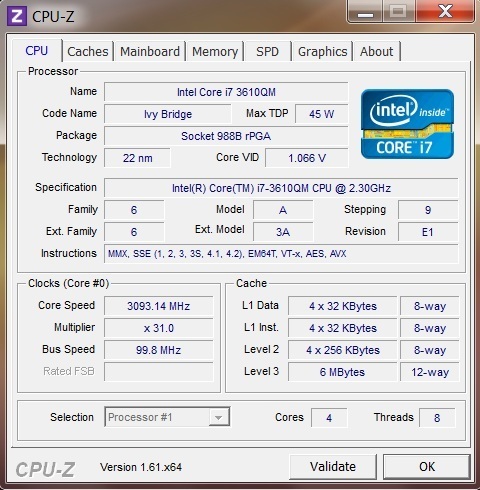 The Intel Core i7-3610QM can also speed up significantly. 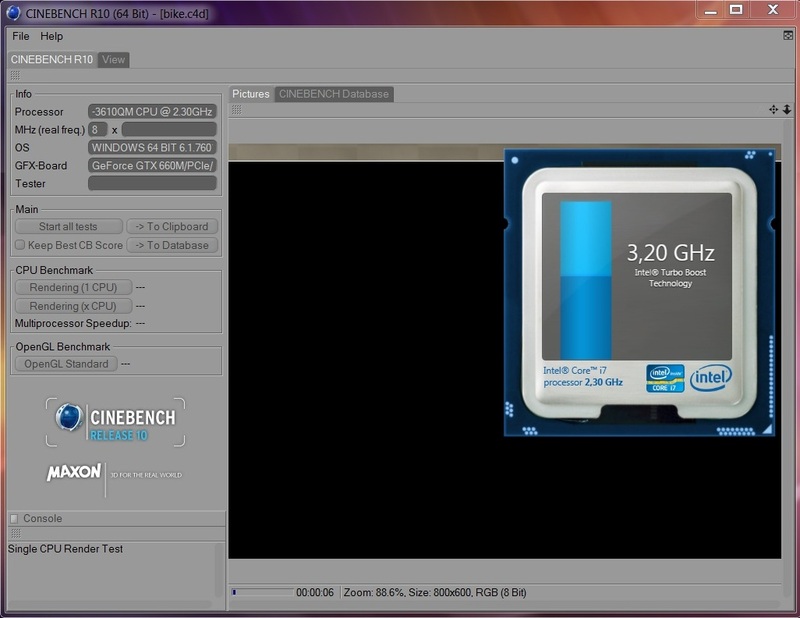 The CPU can boost from 2.3 GHz to around 3.2 GHz (Single-Core rendering) and 3.1 GHz (Multi-Core rendering) in Cinebench R10. Despite the high heat emissions (see Emissions) at full load, the CPU can still overclock to 3.0 GHz which is pretty good for such a processor. Gigabyte has picked the best SSD for the review sample, the 256 GB Lite-On LAT-256M3S which can beat most of the SATA-III competition. The sequential read of 500 MB/s is amazing and so is the sequential write of 350 MB/s. 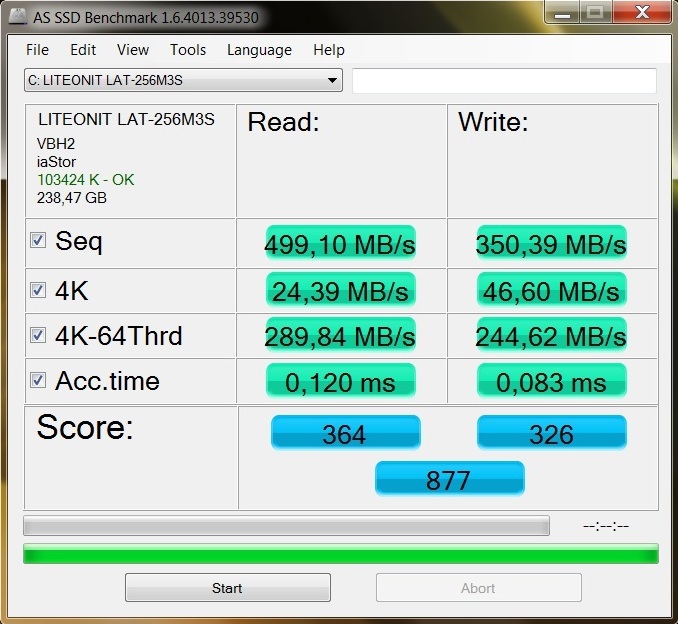 Few SSDs like the Samsung 830 and the OZC Vertex 4, can post higher speeds. The Lite-On model works well with small files as well. The low access times (0.12 ms for read, 0.08 ms for write) are the icing on the cake. Theoretically, a small mSATA drive like the Crucial m4 could also be installed. 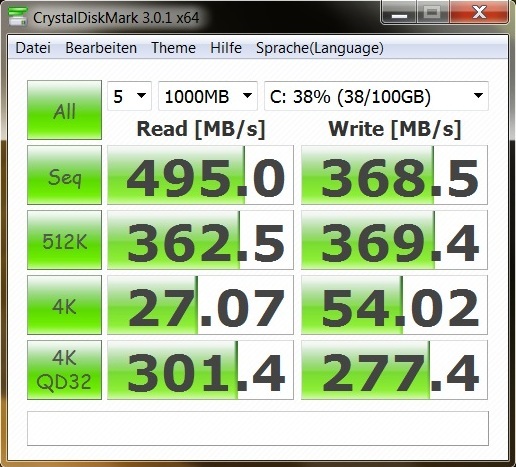 Thanks to the SSD, Windows runs extremely fast and responds quickly. The boot time is much shorter than with a traditional HDD. Smooth multi-tasking is not a problem for the notebook. Asus is also known to use the LAT-256M3S (G75VW-T1040V & U44SG). The intelligent choice of hardware scores high in the system benchmarks. Let us start with the PCMark 7 in which a score of 4664 points is a dream for an average entertainment notebook. Many high-end devices also lie below this level. Our test configuration of the Alienware M17x R4 could reach the same level of 4665 points, despite having a stronger graphics card. PCMark Vantage paints a similar picture with a score of 19985 points which puts this 15-inch test model ahead of most of the competition. The 17-inch One K73-2O (same GPU and CPU) could "only" score 19196 points. 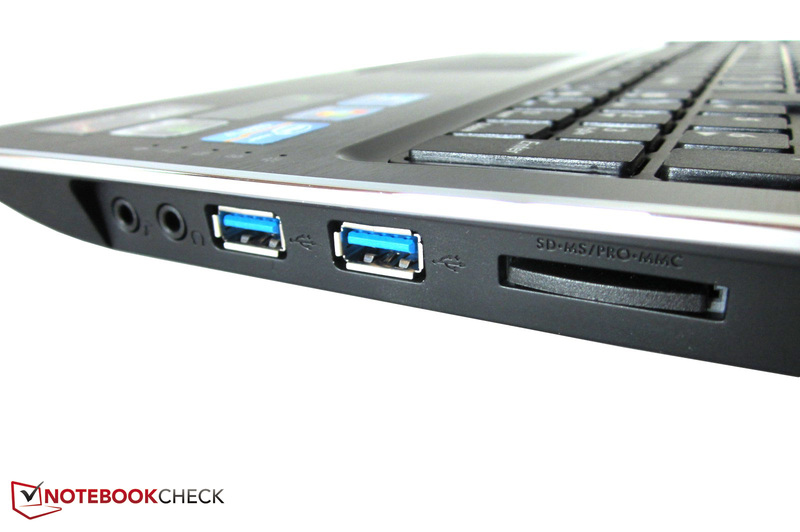 We should mention that the overall score of PCMark heavily relies on the storage device. 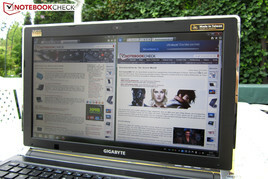 We have already taken a look at the GeForce GTX 660M while testing the One K73-2O and the Asus G55VW-S1073V. 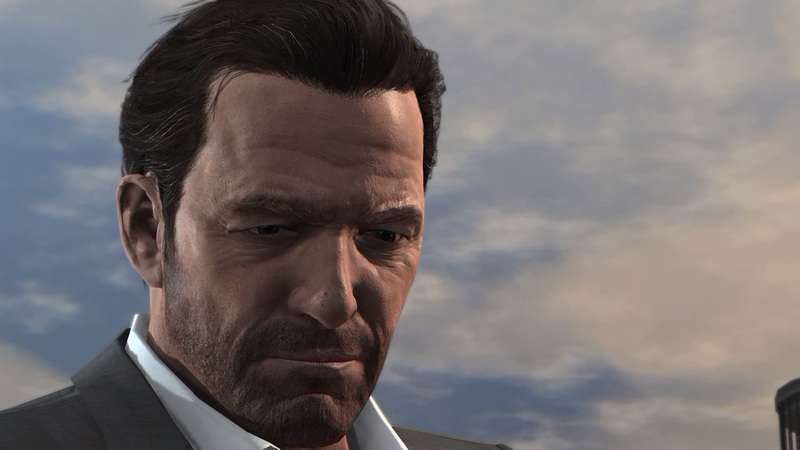 In this review, we will run just three of the latest games: Max Payne 3, Ghost Recon: Future Soldier and The Secret World. These games have great graphics, but at a resolution of 1920x1080 pixels and maximum details, the GTX 660M can often not deliver fluid gameplay. So, demanding games should only be run at high details and at a resolution of 1600x900 pixels (the display supports various 16:9 resolutions) on this laptop. The occasional gamer will be quite happy with the GTX 660M. 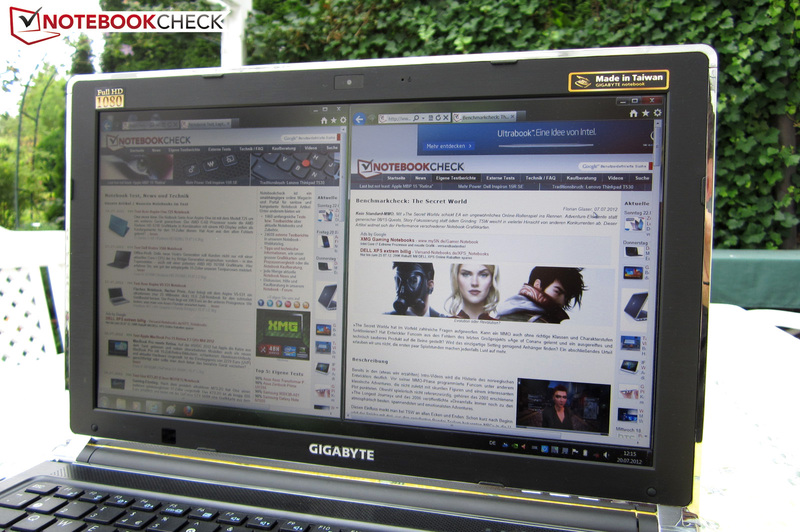 The reader can compare notebook graphics cards here. 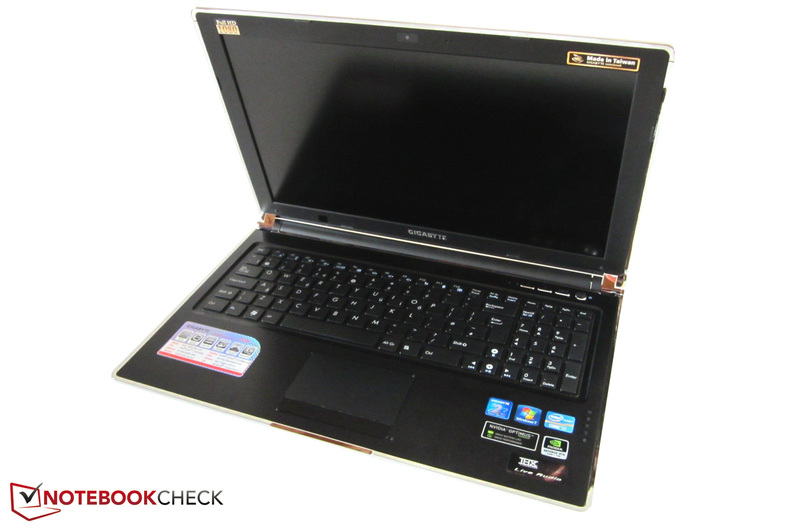 A notebook with a high-end graphics card usually has high noise emissions. Except for the occasional turning up of both cooler fans, the test model remains barely audible while idle (~30-32 dB from a 15 cm distance). 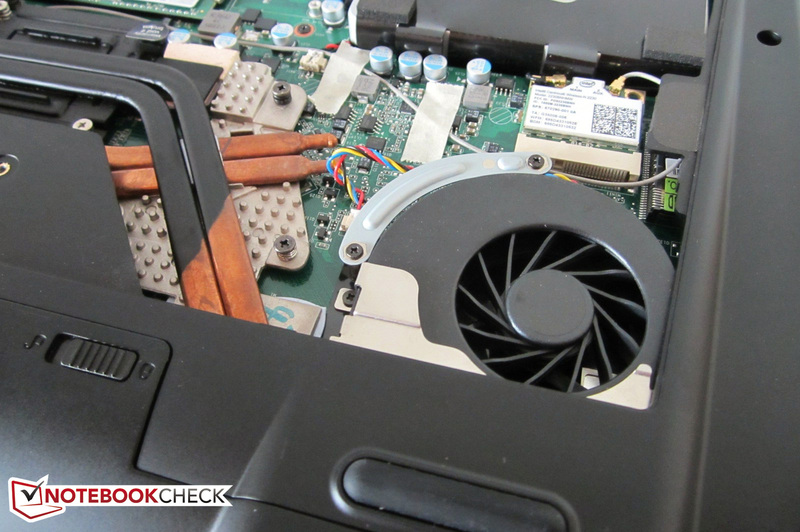 The cooler fans remain conservative while the laptop is performing simple tasks like surfing the internet or watching a video. 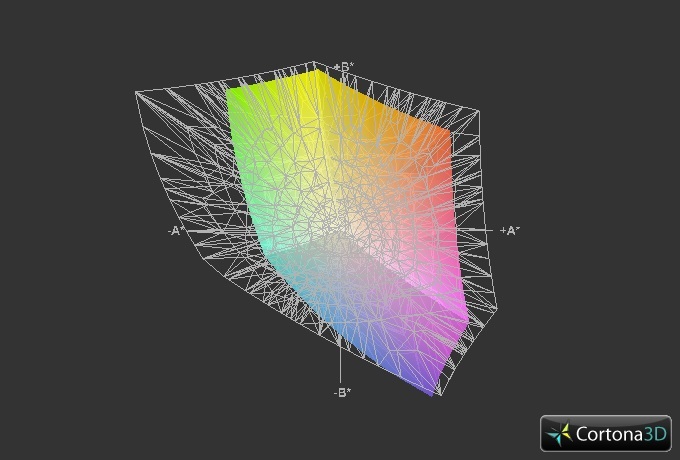 If the notebook is under load, for example, by a 3D program, the noise emissions will rise massively. In 3DMark 06, the emissions wavered between 39 and 43 dB, and the emissions even jumped up to 46 dB. 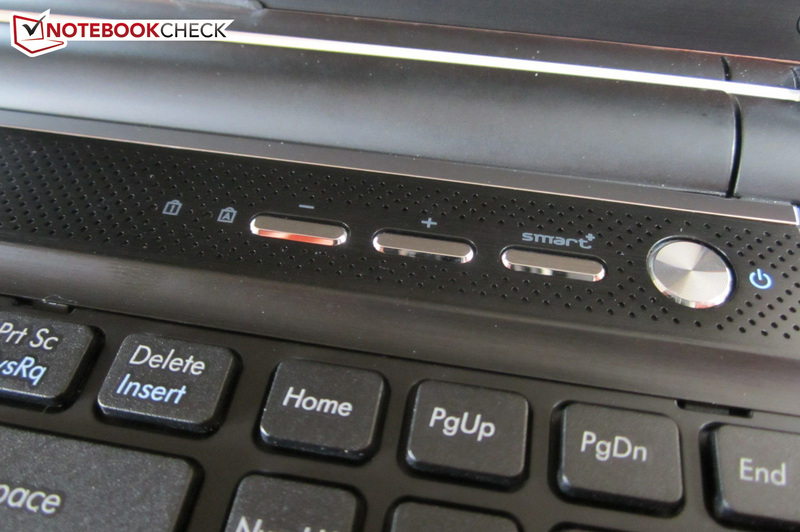 This means that the laptop is audible when playing games in a calm environment and does hamper the gaming experience. Thankfully, headphone users or players of the action genre will not be bothered by the high noise emissions. A short note about the Blu-ray burner, which drags slightly at the bottom of the case, the drive makes a steady whooshing noise when accessing files, but while playing DVDs it remains comfortably quiet. High temperature emission is one of the biggest weaknesses of the P2542G. 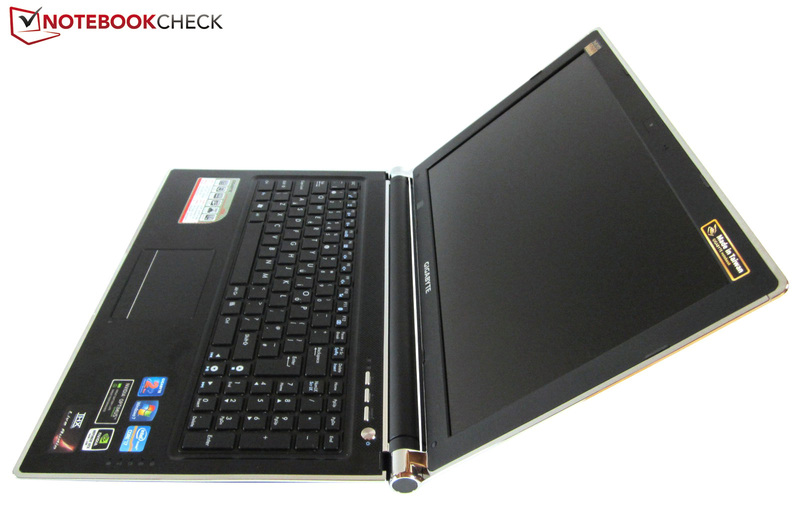 As shown by our diagram, the laptop heats up quite a bit even while idle. After a two hour idle run, the laptop reached an average of 36 °C (surrounding temperature: 27 °C). At full load, these numbers rise much higher. We ran a stress test using Furmark and Prime and reached an average of 47 °C (top) and 42 °C (bottom). However, the surrounding temperature was quite high at about 28 °C. Most competitors remain much cooler. The hardware suffers as well. The CPU reaches a maximum of 100 °C which is not good for hardware. 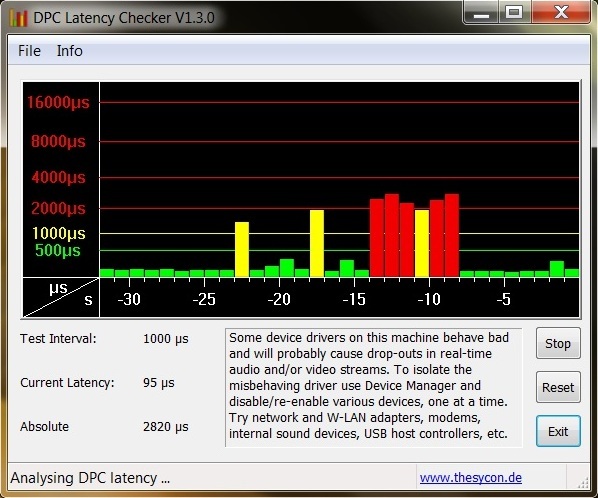 We have to mention that regular gaming sessions don’t stress the Core i7-3610QM to such an extent. The graphics card temperatures remain within acceptable levels. 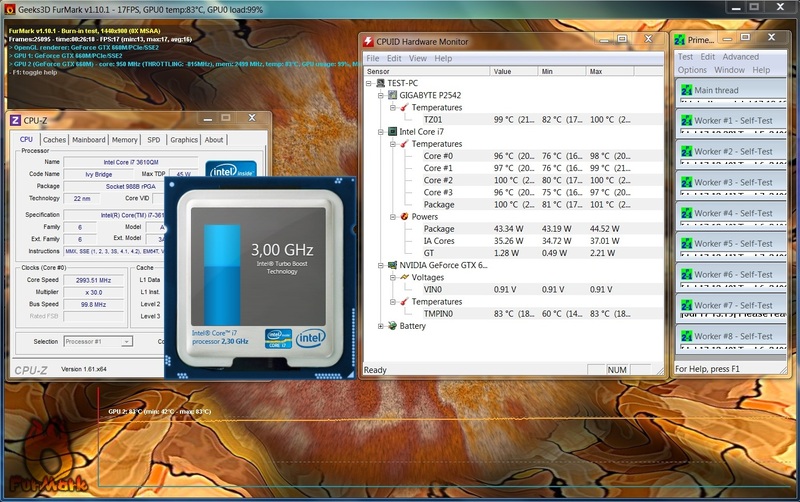 According to the CPUID Hardware Monitor software, the GTX 660M temperature raises to a maximum of 83 °C during these tests. (-) The average temperature for the upper side under maximal load is 47 °C / 117 F, compared to the average of 30.9 °C / 88 F for the devices in the class Multimedia. (-) The maximum temperature on the upper side is 54.6 °C / 130 F, compared to the average of 36.5 °C / 98 F, ranging from 21.1 to 71 °C for the class Multimedia. (±) In idle usage, the average temperature for the upper side is 35.2 °C / 95 F, compared to the device average of 30.9 °C / 88 F.
(-) The palmrests and touchpad can get very hot to the touch with a maximum of 47.4 °C / 117.3 F.
(-) The average temperature of the palmrest area of similar devices was 29.1 °C / 84.4 F (-18.3 °C / -32.9 F). 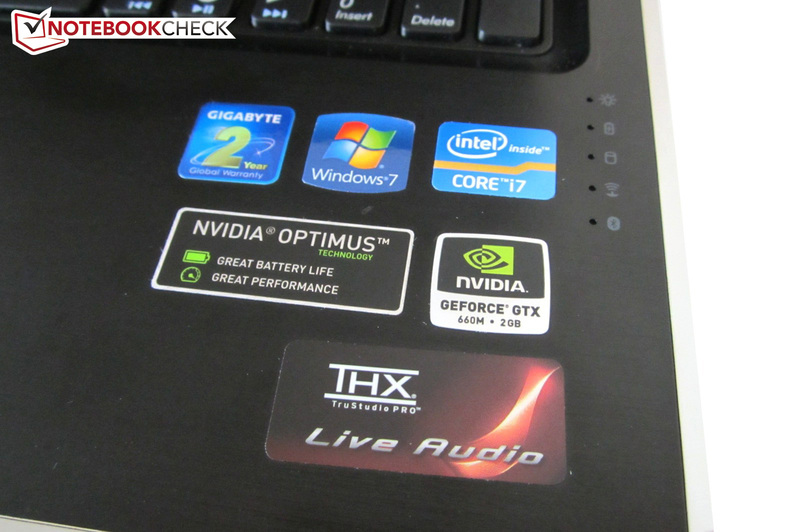 The sound quality is good for notebook speakers. 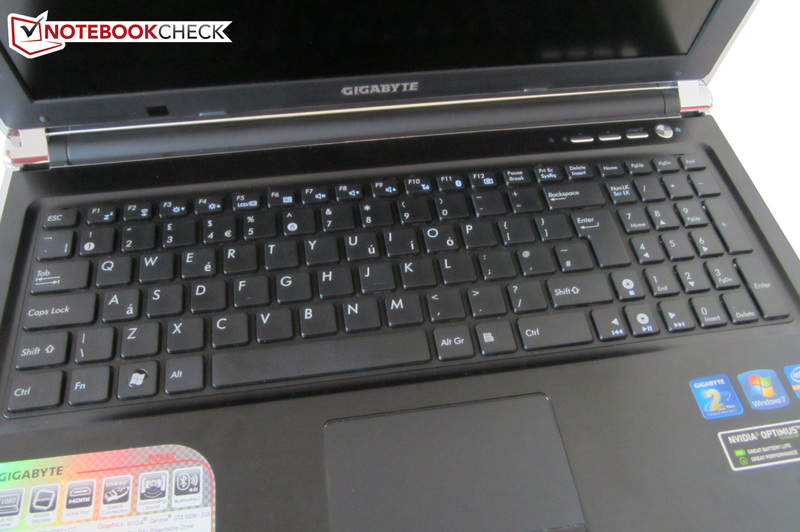 Gigabyte has installed four speakers, two of which are placed above the keyboard and the other two can be found at the bottom of the case. In addition, the laptop has a subwoofer, which is also placed at the bottom. Although the sound could have better precision, this 4.1 system does a decent job. 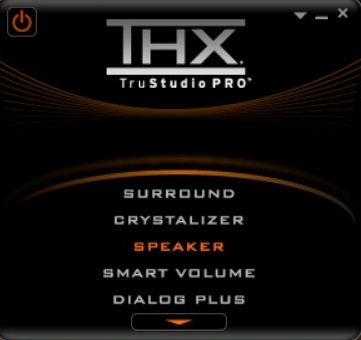 The pre-installed THX-Software gives the entertainment notebook a lot more volume and dynamic range. Bass and a decent maximum volume level are additional plus points. 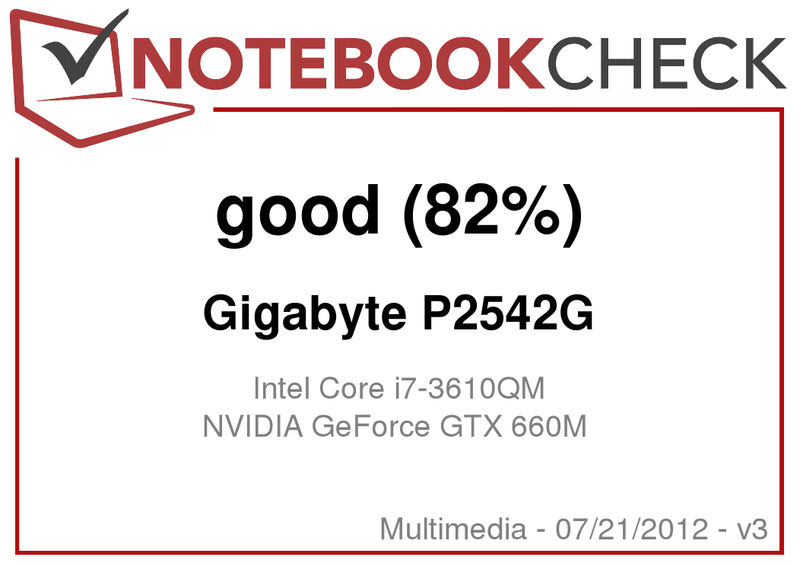 Sadly, the P2542G is not as good as a few laptops with really good speakers (Dell XPS 15, Asus N56V). It is a pity that surround sound is only delivered via the HDMI port. The low power consumption while idle is thanks to the Optimus technology and the well-programmed power-saving mechanisms of the hardware. 11-18 W is quite low for a gaming laptop. While the GeForce GPU is on, the consumption rises significantly. 97 W in 3DMark 06 are values similar to the Asus G55VW-S1073V. 143 W in the stress test confirm that Gigabyte has not over-provisioned for the power adapter capacity. The battery life is strongly dependent on the graphics card and the brightness. With the Nvidia GPU turned off and minimum brightness, the laptop can run for more than 6.5 hours. The WLAN test is much more practical. The test is run with a brightness of 150 cd/m² and most test models do not last longer than 4 hours. While playing a DVD, the test model performs poorly having a run-time of just 2.5 hours which is not enough for most movies (at max brightness). Demanding programs can deplete the battery quickly. The Classic test of Battery Eater siphoned all the juice out of the battery after a mere 73 minutes (1 hour 13 minutes). The older P2532N had shorter run times. The successor is better, yet we would have liked to have a stronger battery. 61 Wh capacity is decent, but not impressive. 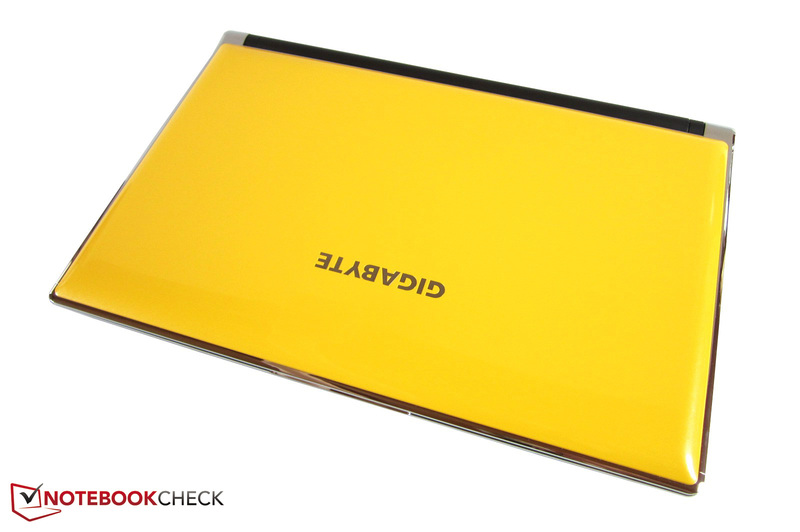 The Samsung Chronos 700Z7C has a larger 78 Wh battery. The P2532N was a surprising success and now Gigabyte presents the evolution of its entertainment platform. 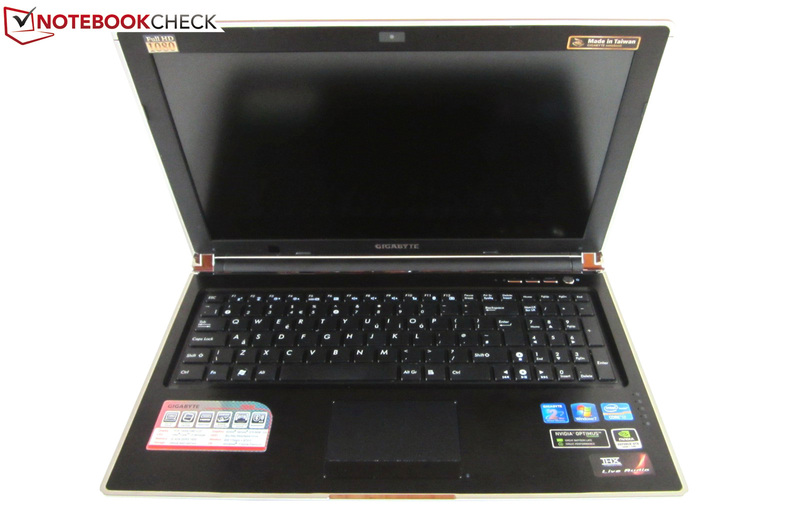 The high-end hardware of the 15.6-inch P2542G will prove attractive to various buyers. On one side, we have the faction of gamers. The GeForce GTX 660M is by no means a high-end luxury model which can run any game at maximum details. However, it is powerful enough to run most games at high settings with a slightly lower resolution. 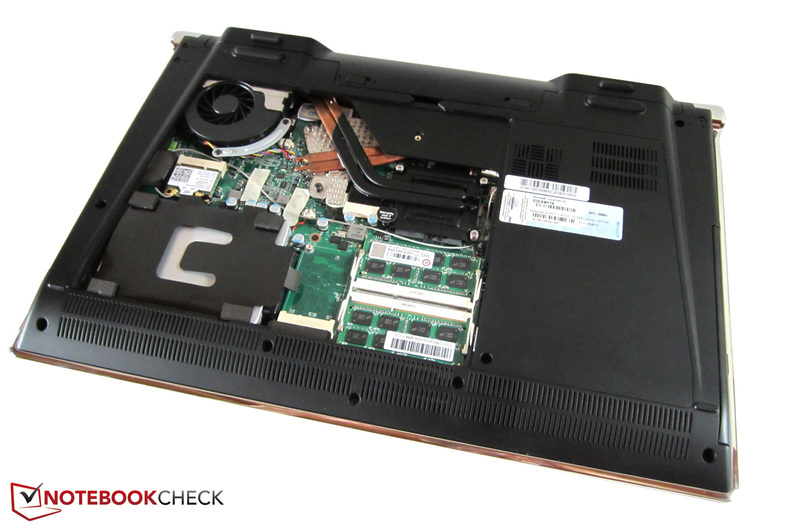 The P2542G is the right choice for buyers who need a notebook with excellent program performance. The quad-core Ivy-Bridge CPU (Core i7-3610QM) and 256 GB Solid State Drive (Lite-On LAT-256M3S) is a fast combination. The anti-glare Full-HD panel is great. 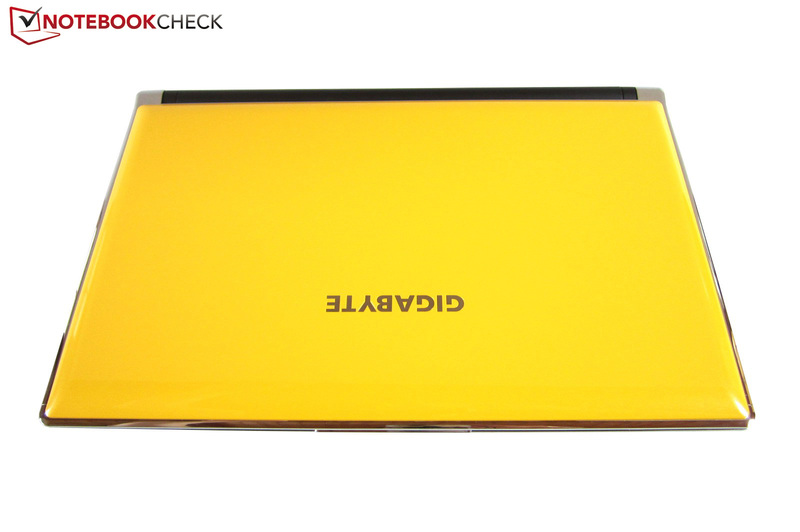 The crisp colors and high brightness are more than enough reason to overlook the smaller flaws such as the poor port positioning, the rough touchpad surface and the loosely secured service flap. The sound quality, power consumption, battery life and input devices all score well and put the laptop very high up in our list for laptop excellence. Sadly, this all-rounder loses some valuable points due to the high temperature and noise emissions at load. The P2542G is not cheap coming in at 1500 Euro (~$1900). 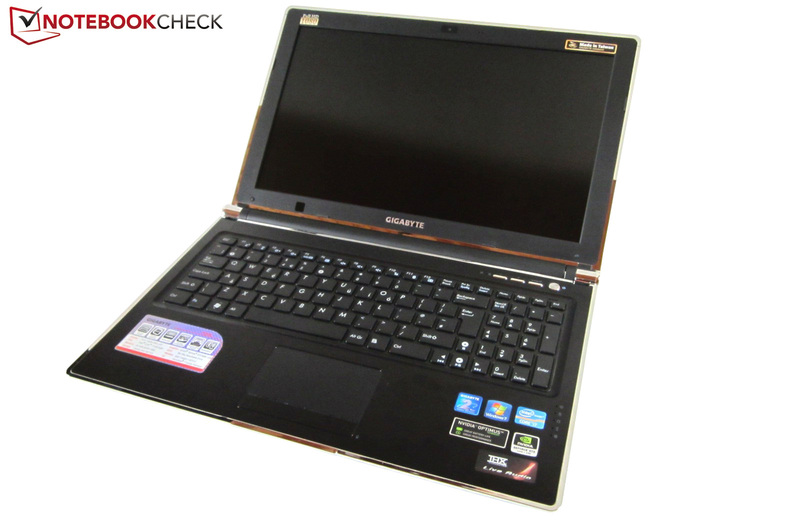 A similar level of performance and hardware can be found in laptops priced around 1000 Euro (~$1250) like the One K73-2O. The P2542 is also available in black. Graphics card (left) and processor (right) work next to each other. An mSATA slot is included. Without the battery, the test model weighs 2.3 kilograms. 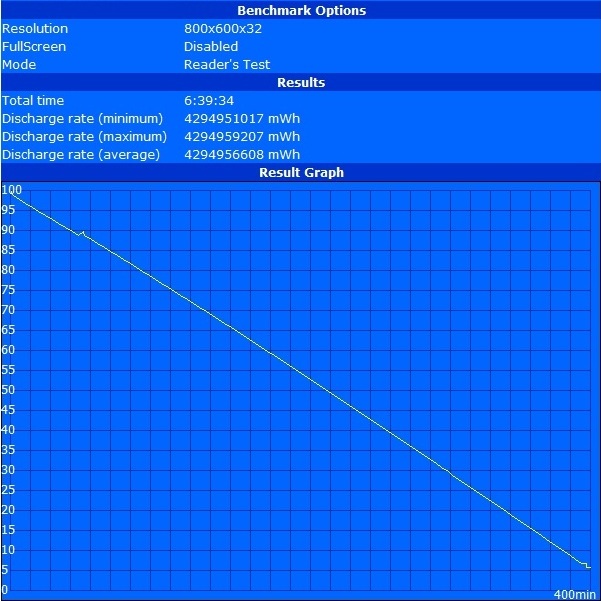 A 61 Wh battery promises good run times. A 1920 x 1080 pixel resolution for a Blu-ray drive is a must. The lower section of the display bezel hides an infrared sensor. Two speakers are placed next to the power button. The laptop uses the latest technology. Gigabyte may have used too many stickers. The chiclet keyboard has no lighting. 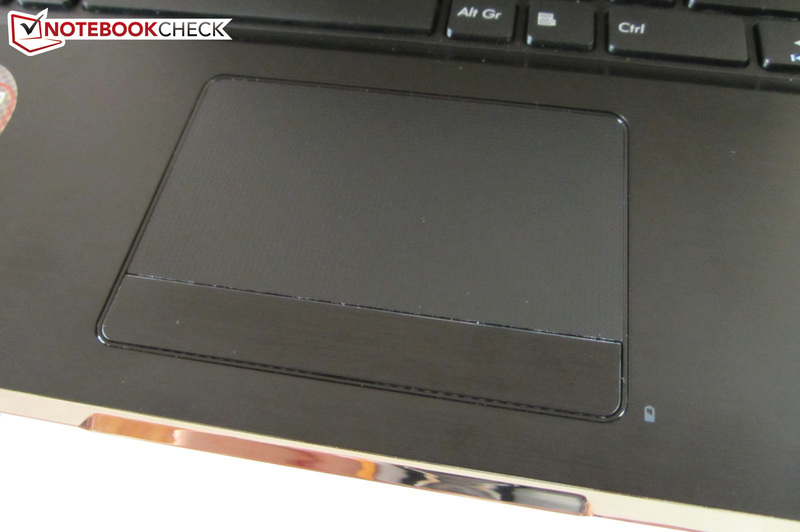 A textured touchpad surface is a contentious matter. The right side has two USB 3.0 ports. Gigabit LAN + WLAN + Bluetooth 4.0. Analogue display output via VGA, digital output via HDMI. The disadvantage of high-end components is a heavy power adapter. Thanks to the provided software, the user is well-equipped for multimedia tasks. The small fan is noticeable at load. The English model uses a very fast 256 GB SSD. Inside, the notebook is generally dark in color. The surfaces have been given a silver trim. The service flap is flimsy. 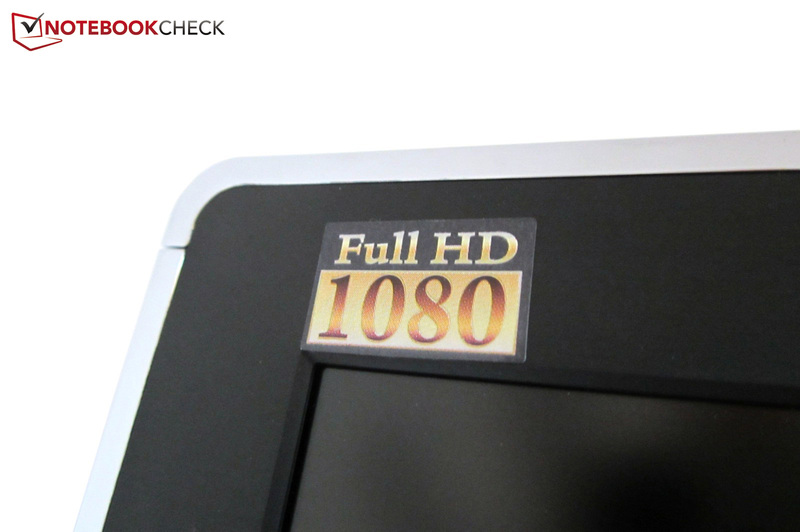 The bright Full-HD panel does has a matte finish. About 2.7 kg, but still portable. An opening angle of 135° is not spectacular. The back side is host to a 6-cell battery. Both hands are required to open the laptop. 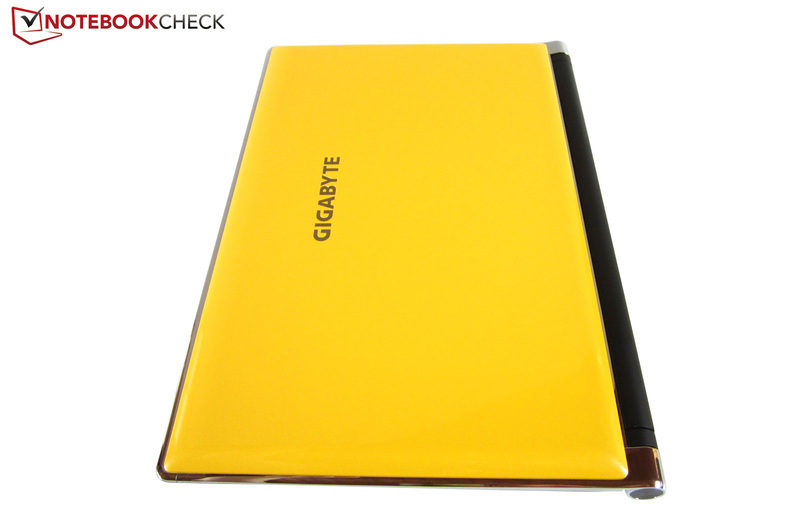 The yellow cover is made of glossy synthetic material. Only a portion of the cooling system is accessible. The hand-rest areas are made of aluminum. The workmanship quality is great. The recessing of the ports is quite annoying. The notebook has a unique look. Two fans take care of the expensive hardware. RAM and hard disk are easily accessible. The high price may scare off some buyers. Gigabyte has picked one of the best SATA III SSDs. The high price will turn away many potential buyers. The matte Full-HD panel is very bright. 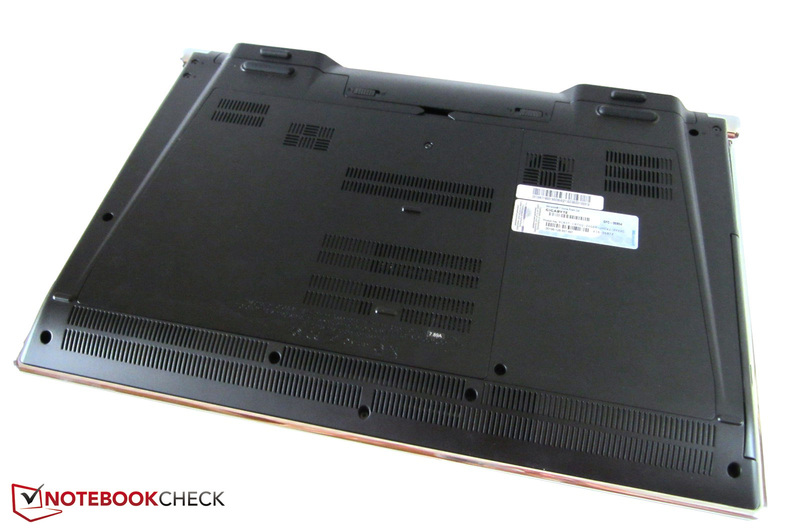 15-inch all-round notebooks with good graphics card include the Asus N56VZ-S4044V, the Deviltech Fire DTX, the MSI GE60-i789W7H and the Schenker XMG A502.